Hearing tests can be recommended by a doctor or specialist for any number of reasons. 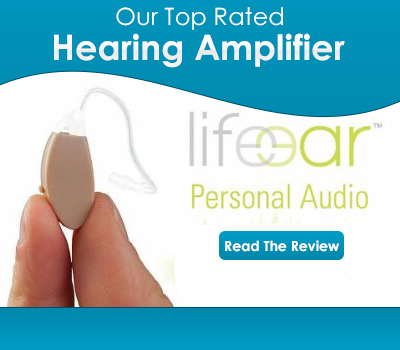 A person may have noticed their hearing declining and thus become concerned that there may be a medical problem. Other times, a condition has already been diagnosed, and regular hearing tests are undertaken to monitor the progressive nature of the hearing loss that is present. Whatever the reason for you being required to undertake a hearing test, or an audiometry test, it is wise to have an idea of what it is all about and how it works, so you can know what to expect when the time comes for your audiometric testing to take place. What Is An Audiometric Test? An audiometry test is a hearing test which is not invasive and does not cause any pain, but which has the goal of determining the ability of a person to hear various sounds, frequencies and pitches. There are a number of reasons that audiometric testing might be conducted on a person. This includes to monitor and compare the level of hearing loss before and after some ear surgery procedures, or as an evaluation tool to see if a hearing aid may be beneficial for the individual’s ability to hear better. Another reason that people undertake a hearing test is to comply with workplace safety regulations. Workers who are regularly exposed to noisy environments are often required to have an audiometric test prior to commencing work, and at set intervals thereafter, in order to monitor any effect that the sound levels in the workplace may be having on their hearing. This also assists employers to determine the most suitable form of hearing protection for employees whilst they are on the job. Builders, industrial workers, road workers, excavators and mining workers are just some of the people who may be required to undergo regular audiometry tests as part of their work contract requirements. Where Can You Have This Test Done? 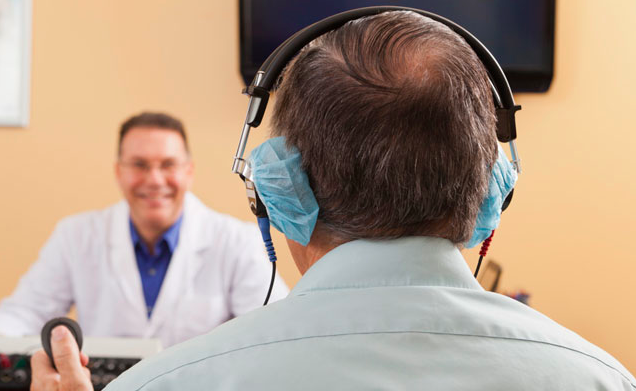 Hearing tests are generally undertaken by an audiologist, or a hearing specific specialist doctor. This may be done in a hearing clinic or other facility that focuses on hearing as a major point of their medical practice. Depending upon the reason for your hearing test and where you live, you may or may not have to cover the costs of a hearing test yourself. How Does An Audiometry Test Work? There is no one exact formula that is carried out in audiometric testing, but sometimes one ear will be tested at a time, depending upon what the purpose and goal of the testing is. The hearing test is always conducted in a sound proof room, so that external noises can not interfere with results. The patient will wear headphones which are connected to a machine, and this is how the various sounds are delivered to the ears. The person is then required to indicate when they hear a sound, either by clapping, pushing a button or raising a hand to indicate which ear you heard the sound in. In some cases, the audiologist may make use of a tuning fork. This tests the conduction of the mastoid bone, which is located behind each ear. This test allows the doctor to see if the person is able to hear by air conduction. These are called Rinne and Weber tests. All in all, an audiometry test can take anywhere from ten minutes for a very basic and simple test, or up to an hour for a more detailed and thorough examination. What Can The Test Results Reveal? Any hearing loss that is present will be indicated by the results of audiometric testing. There are a range of hearing loss types and severities, ranging from very mild and only affecting one ear, to more severe and affecting both ears. Some people are only unable to hear low tones, whilst others may be unable to make out higher tones. Official hearing loss is recognized when a person is unable to hear pure tones under 25 decibels. An audiologist is able to determine the possible cause of hearing loss and potentially diagnose a condition based on the type and the amount of hearing loss that the test has shown. Some possibilities of hearing loss diagnosis include occupational hearing loss (from frequent loud noises in the work place), perforated eardrum, otosclerosis, hearing loss due to age, labyrinthitis, Alport syndrome, Meniere’s disease, to name a few possibilities. Tinnitus: This condition is very common and results in a constant or intermittent ringing or buzzing sound in one or both ears. It can be very mild in some people, and severe in others, to the point where it affects their ability to hear other external sounds. Tinnitus may be caused by exposure to very loud sounds, or it can be a symptom of other conditions of the ear. Acoustic neuroma: this is the presence of a benign tumor which can result in a loss of hearing, as well issues with balance and in severe cases, paralysis of the face. This tumor grows slowly and is located on the cranial nerve. Sensorineural hearing loss: Damage to the vestibulocochlear nerve causes this category of hearing loss. Conductive hearing loss: This type of hear loss occurs when there has been some damage to the ossicle bones, or to the eardrum itself. Hearing loss is a distressing problem to deal with when you recognize that it may be happening to you. An audiometric test is the first step in receiving assistance and advice concerning the type of hearing loss you might have, what may have caused it, the severity of the hearing loss and importantly, what actions to take to improve your situation. In the case of moderate to severe hearing loss, there are many advanced options available when it comes to hearing aids, which have advanced in technology considerably in recent times. Your hearing specialist doctor will be able to advise on exactly which course of action is best for you, as you work towards improving your hearing for a better quality of life. Thanks so much for sharing all of this information about audiometric testing! I actually had no idea that these tests can determine whether you have a condition. My friend actually has acoustic neuroma, so she can’t hear very well out of her right ear. I wonder if an audiometric test helped her doctor diagnose her condition— maybe I’ll ask her about it! Wow, I had no idea that there are so many different types of hearing loss. What also amazes me is that the audiometric tests can tell the difference between hearing loss from a tumor, and from damage to the eardrum. Does the audiologist also conduct an x-ray of the affected area to confirm the condition, or are their tests accurate enough to not need that?